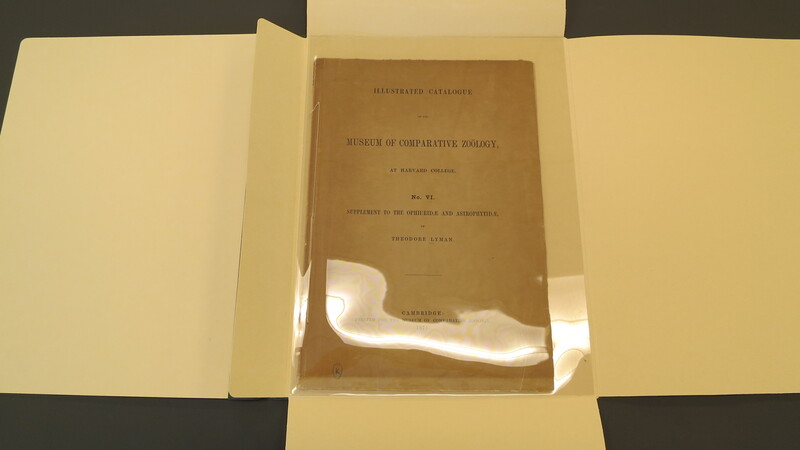 Numerous pamphlets, catalogues, and paperbound materials contribute to the vast general collections held within the Smithsonian Libraries. 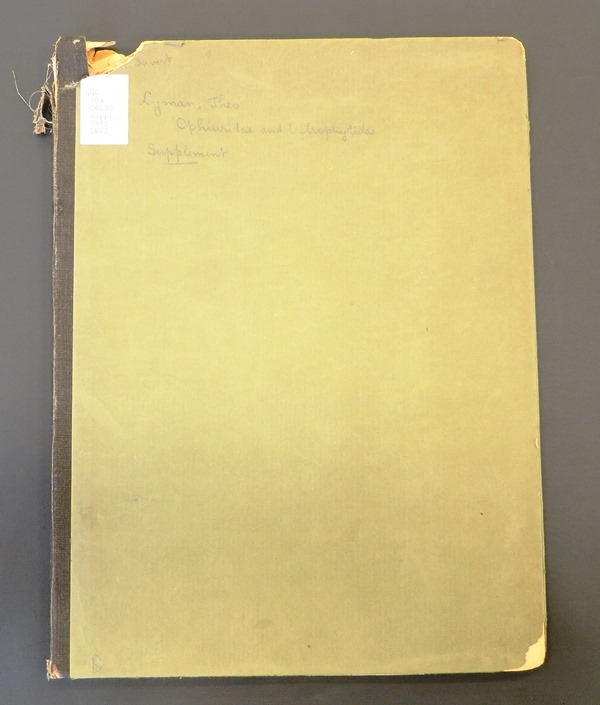 Many of these fragile items were carefully treated by past Preservation Services staff using approaches similar to those we currently employ. 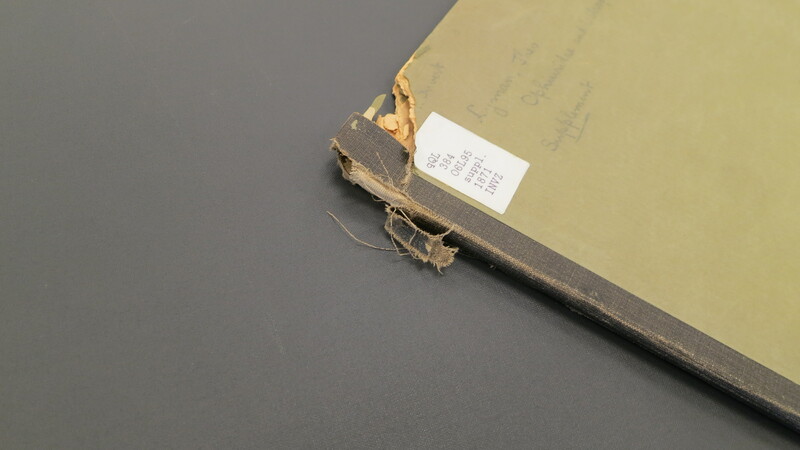 Damaged folder, as it comes to the Book Conservation Lab. 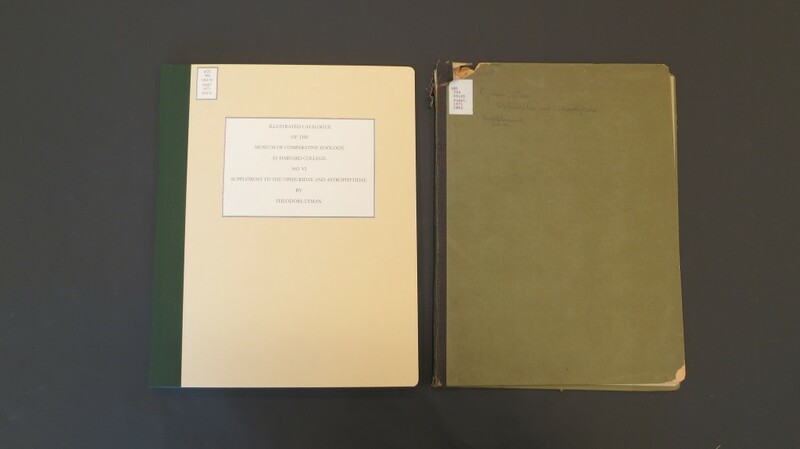 Commercially manufactured or custom-made folders and “four-flap” enclosures are commonly used to house and protect paperbound items. 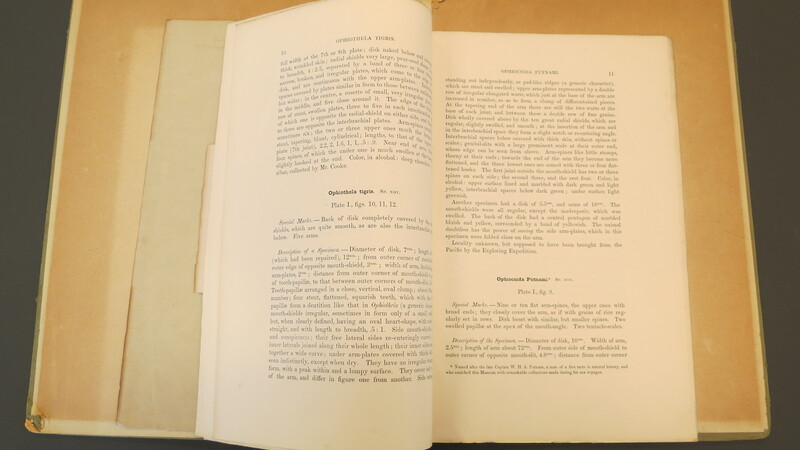 Recently, collection items in need of rehousing using the “four-flap” method were assigned to my attention. 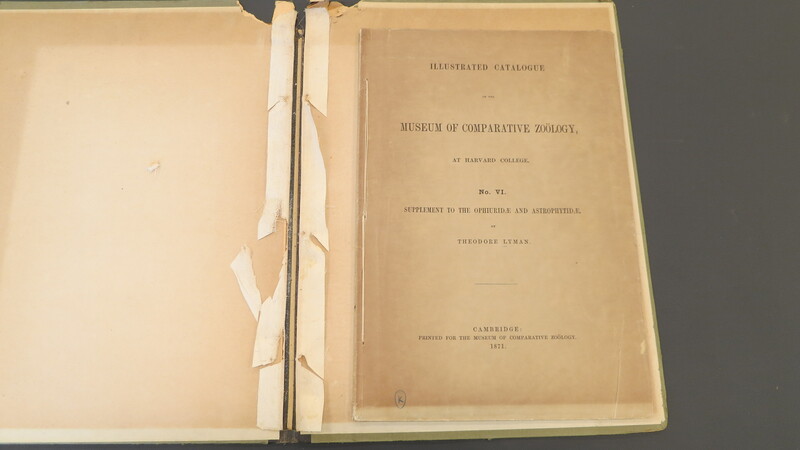 One of the items, an Illustrated Catalogue from the Natural History Museum’s Invertebrate Zoology collection, dated 1871, arrived at the Book Conservation Lab in a deteriorating cardboard pamphlet folder. 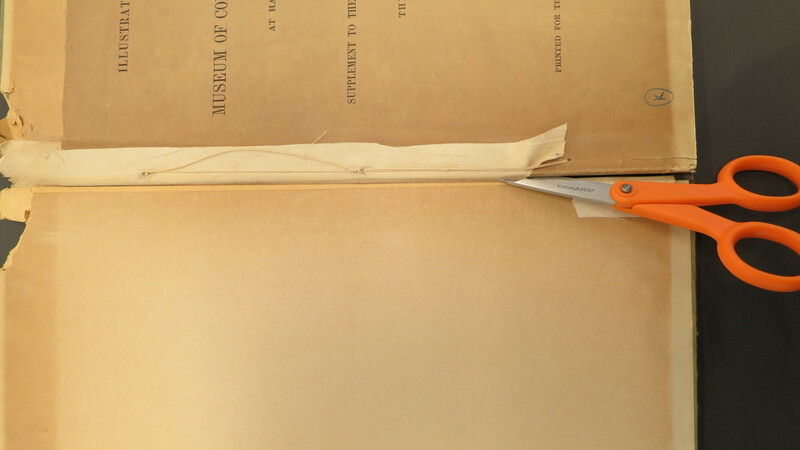 The catalogue was sewn into the folder; the thread still holding it together effectively. 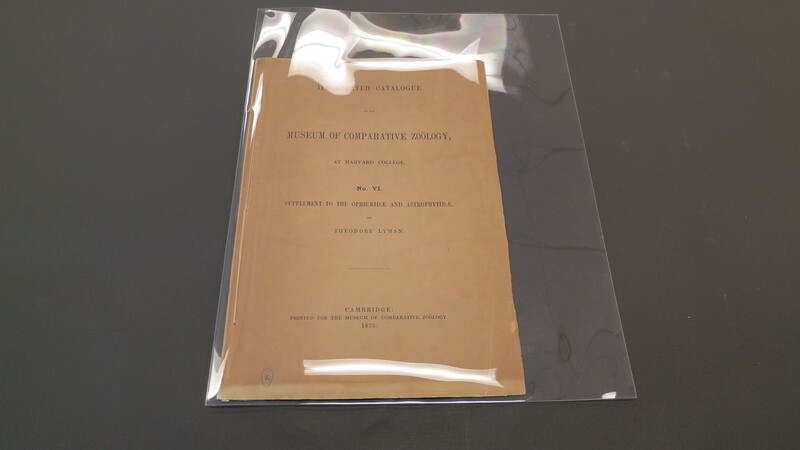 The leaves beneath the paper wrapper were bright and not brittle and the wrapper, though somewhat discolored, was free of any substantial damage. 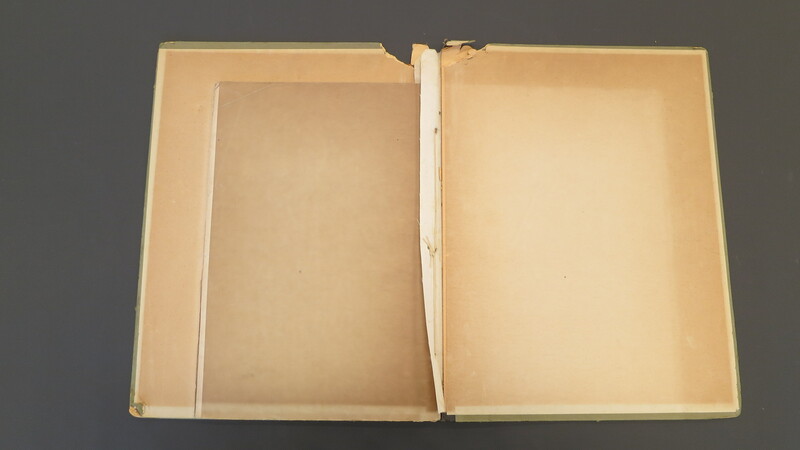 The catalogue was carefully cut off of the linen strips that attached it to the old cardboard folder and then one strand of loose thread was trimmed and retied. 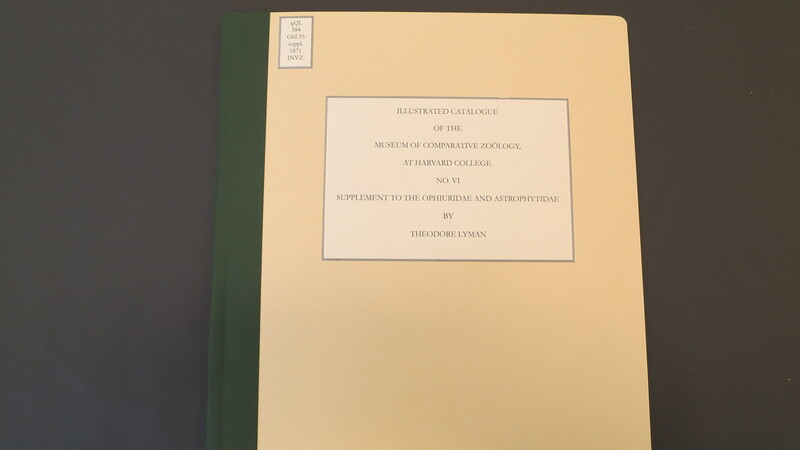 The traditional, common, folder enclosure has been revitalized with a new and similar “four-flap” and the catalogue is now secured, protected, identifiable, and easily accessible to library patrons.